A crop of the first image from The Mandalorian. 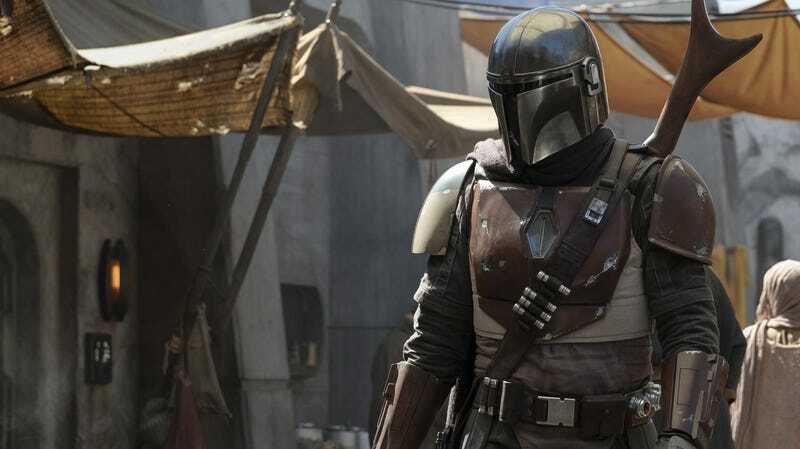 And there it is: Our first look at the star of the upcoming live-action Star Wars TV show, The Mandalorian. StarWars.com revealed the photo along with a list of directors for the show. They include Star Wars alum Dave Filoni, who’ll direct the first episode, as well as Deborah Chow (Jessica Jones), Rick Famuyiwa (Dope), Bryce Dallas Howard (Jurassic World), and Taika Waititi (Thor: Ragnarok). It was also revealed that production has begun (which, duh) and that along with Favreau and Lucasfilm president Kathleen Kennedy, the show will be executive produced by Dave Filoni, Colin Wilson, and Karen Gilchrist, who is a co-executive producer.